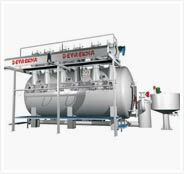 We are manufacturing soft flow machines, soft flow fabric dyeing machine, soft flow machinery, soft flow fabric dyeing machinery. No rope marks, no pilling effect, no hairiness. Cup type very soft flow nozzle with low pressure higher flow design. 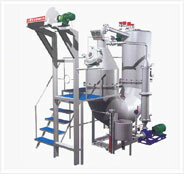 Online filter design for easy cleanup even during the process with extra replaceable filter mesh. 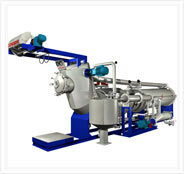 Specially design vessel cleaning system by SS spraying nozzles. Fabric drive reel with A.C. Motor & Frequency controller. S.S. Control Panel with rotary switch, Emergency stop, Fabric speed indicator, Hotter & moderate operation panel. PTFE Teflon sheet in basket. 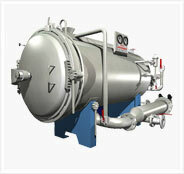 Vessel made from AISI SS 316 L.
Maximum working temp. 140° C.
Maximum working pressure 4 kg./cm². 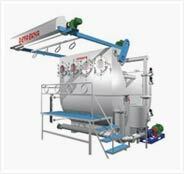 Colour Kitchen system with Agitators & Actuators with direct dosing system for colour preparation and dye dispensing / dosing. Fully automatic system with PLC & Electromagnetic flow meter. · Seam Detector. Frequency controller for Main motor. Stirring system in colour tank. 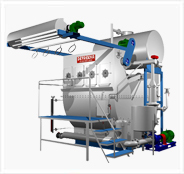 Dye Kitchen Specially designed for the dissolving & preparation of dyes chemical & auxiliaries & transfer of the dissolved media to the single dyeing machine. 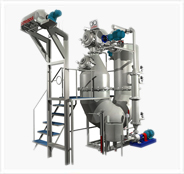 Available in difference stage of automation with optional accessories like Stirrer & Dosing pump combined usage with programs. 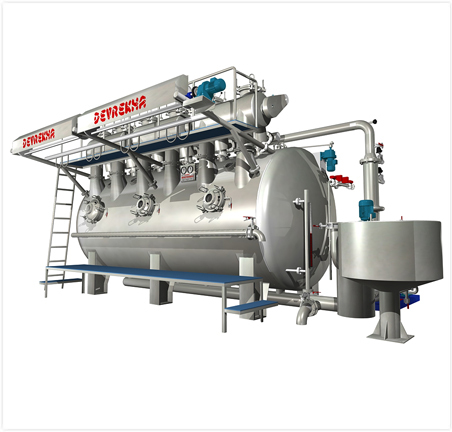 Manufactured from high quality stainless steel, to suit all machine types' capacities with flexible combination of tank size & number of satisfy all process requirement & future requirement.